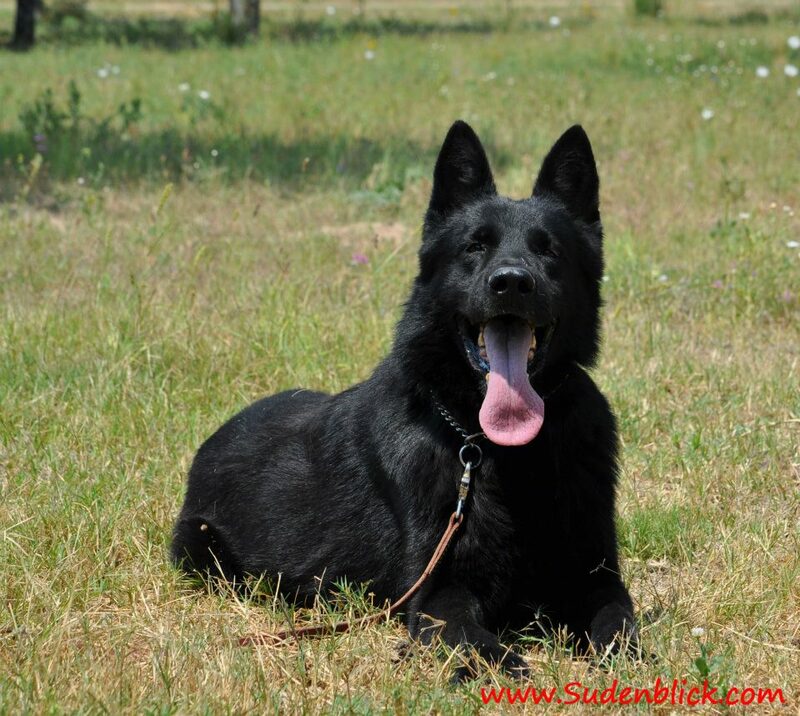 Canto lived at sudenblick for almost two years and during that time we had four amazing litters from him. He sired our A, B, C and D litters, he will be in our future puppies pedigrees as he produced many great features. 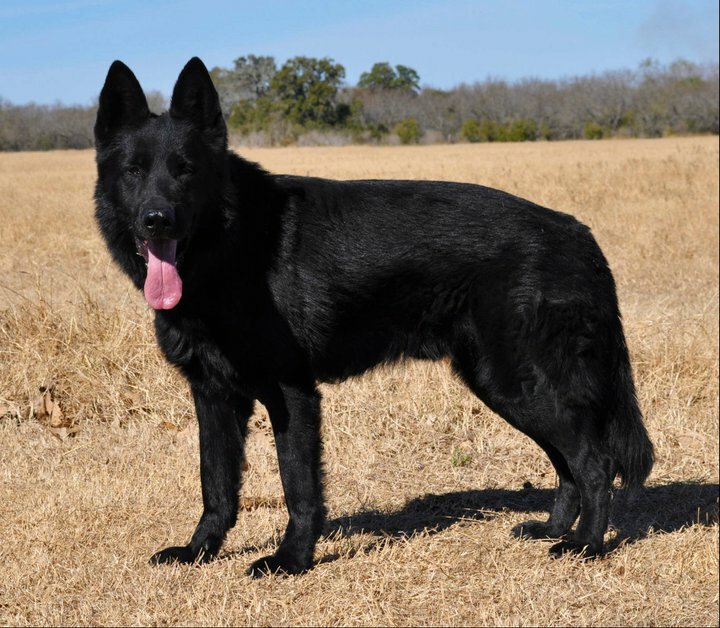 Canto is of all DDR/east german, he is a stunning all black with the older DDR type look. He has a lush showy, thick coat that makes people "oh and ah" and has one of the best temperments I have been around. He really wants to please and be next to your side at all times. He produces beautiful, balanced, social puppies for companionship or working homes. 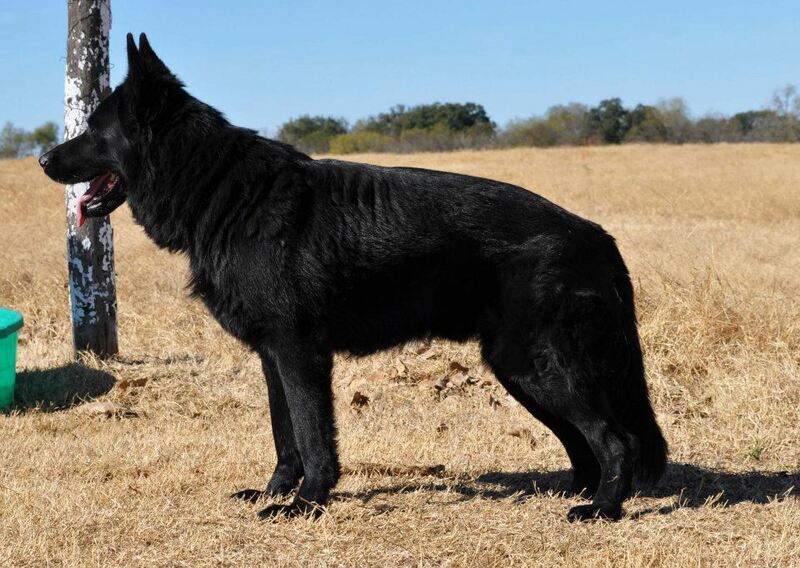 We now have Athos that reminds me daily of his father Canto, we are hoping he will produce similar also.